The Football Front: Fabio Capello Departs from England, But Did He Leave for the Right Reasons? Fabio Capello Departs from England, But Did He Leave for the Right Reasons? Fabio Capello starts his retirement a little earlier than we all expected. The former England manager may well be relaxing in his luxurious pad in Switzerland, but England will hardly be doing that from now on until the Euros. The Italian’s uncanny departure from England has left the nation on a huge lurch. But was the FA decision to strip John Terry as captain that bad for Fabio Capello to throw in his towel? I don’t believe the decision was that bad for a second. Capello, is a manager who is known for his principled outlook, his rational and disciplined mentality. Regrettably, those characteristics did not come to the fore when he came to the decision to leave England. The reality is, the Italian left his job, as his employers did not feel Capello’s captain was suitable to the lead the nation while a serious allegation of racism surrounding him. To me and to most of you, stripping John Terry of the captaincy made entire logical sense. Given the scale and seriousness of the charge. Not only this, allowing John Terry to lead England would portray England and their FA as huge hypocrites. After all, England for a number of years have had a dominant and active stance on the fight against racism. Allowing John Terry to lead the nation would have been a huge own goal for the FA. On a side note, the FA for the first time in what seems an age, have maintained a consistent stance. In 2000, Lee Bowyer and Jonathan Woodgate were charged with assault. But the FA made both players unavailable for selection until the charge and been dealt with. No one can deny this decision was entirely logical, given the circumstances. But for Capello, John Terry is viewed by him as the ultimate lion. But the talented manager's reign at England will sadly be remembered not only for an embarrassing World Cup display, but this obsession with John Terry. Indeed, it was Sven Goran Erickson who was heavily criticised by the British press for showing too much respect towards David Beckham. Fast forward a few years and history has repeated itself. As Fabio Capello’s unmoveable and obsessionable defence of John Terry was the underlying reason why he left the highest ever paid international management job in football. Given the huge contract England so eagerly handed to Capello, England expected a return under the leadership of the former Juventus manager. But Capello seemed to be uninterested in dealing with the expectations his job came with. What’s more frustrating is that he leaves as a manager who failed England in a World Cup and then didn’t have the respect, guts or commitment to rectify from his past mistakes as manager. Perhaps some of the players will feel utterly betrayed by him. After all, they’ve worked hard in preparing for a major competition and their manager just buggers off. Fabio Capello has potentially damaged the confidence, the belief and desire of some of the England players towards international duty and the Euros. On the other hand, there are murmurs some of the England players are quietly pleased Fabio Capello has departed. It’s a well known fact Capello struggled to connect and develop a relationship with his players. But this sudden departure, regardless of whether the players liked him or not will have a severe effect on the players preparations ahead of the Euros. Capello is a meticulous manager, who has casually left ,leaving behind him an array of disorganisation for the FA and the other England coaches to pick up. And if the FA appoint a new manager before the Euros, it goes without saying, England’s cohesion and understanding as a team is more likely to decline ahead of the tournament. After all, the new manager, whether it’s Redknapp or anyone else, they will want to implement their own style onto the side, meaning new players will join and leave the England squad. Also questions will be raised for the manager at what is his best starting 11 for example. The new manager has many great challenges on his footstep, which he instantly has to solve. 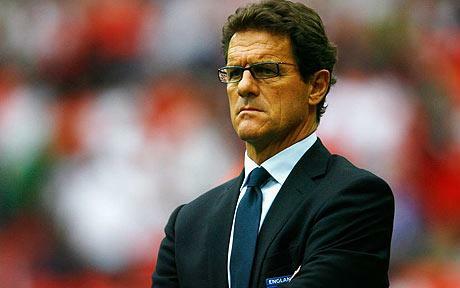 But, Fabio Capello is a man of great integrity, this integrity, is a key reason why he’s so respected within the game. However, this integrity seemed to be discarded when he left England. His exit was reality TV esque. It was dramatic, pathetic and utterly egocentric. However, Capello should have opposed and rejected this dramatic exit from England. After all, he, kept reinstating his desire to leave England. I feel Capello should have just bitten his tongue and accepted the FA’s decision over John Terry. This would have been the mature, respectable thing to do, rather than undermine the FA’s decision to the press and give the FA an ultimatum which was clearly unrealistic for the FA to adhere to. One thing remains very clear from Capello’s premature exit from England. It seems the Italian, was looking for a means to jump the ship early. 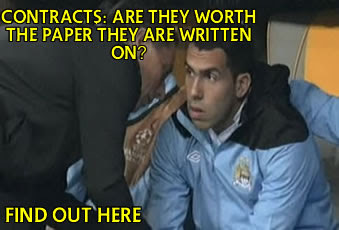 He was looking for a way out well before the expected date after the Euro’s. Let’s put this into context. he has worked at some of the most hostile clubs in the world. He’s managed at Juventus, Real Madrid and AC Milan. The directors at these clubs have actively taken decisions into their own hands without consulting the manager, so Capello has probably had to learn how to deal and work through these climates. Regrettably, England have paid the bitter price for making Fabio Capello the highest paid expensive international coach in the world. The FA made it so easy for him to walk out. Let’s face it, he was earning £6million a year, so quitting a few months early in a 4 year reign, and considering how wealthy and how successful he's been as a manager he is, it makes it so easy for him to exit with minimal consequences for himself economically and to his reputation globally. The FA must learn from their relationship with Capello. 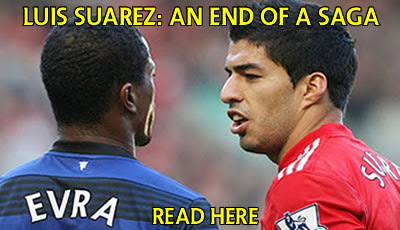 After all, it has and will continue to leave scaring marks on a generation of English footballers and supporters. 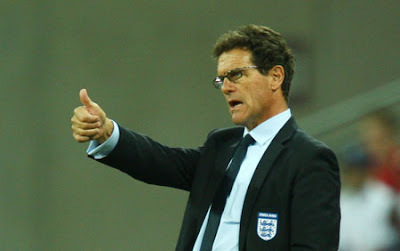 Fabio Capello came to England and created an image of himself as powerful, disciplined tactician and a manager who is befit to lead out the three lions. Instead, he left England, as a man who fell out of the love with the job. He left as a man who was uncommitted to the job and a man who didn’t share the dreams of a nation.